English is, for lack of a better word, a crazy language that has combined many other languages with the end result being that there are no rules that can explain how the spelling works. You might say that English is tough because it was not thoroughly thought through. So how do we teach this crazy language? Until now, educators relied almost exclusively on a system of reading instruction known as phonics to teach reading. Phonics teaches the sounding out of words. But there is a major problem with phonics – the vast majority of words in English cannot be sounded out. 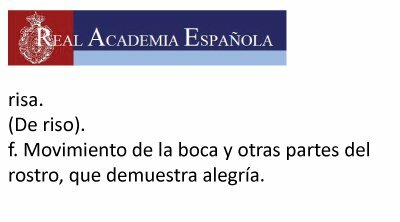 The “ea” letter combination in this sentence can be pronounced 13 different ways! 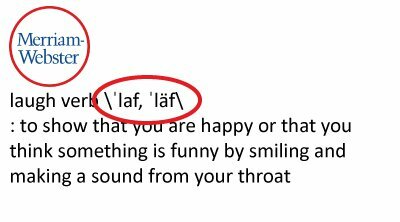 In English, fewer than 1 in 5 words can be sounded out and there are 1,768 ways of spelling forty phonemes (a basic sound unit in the language) – which is why English is one of the only languages that requires a pronunciation guide. (In almost all other languages, pronunciation guides are not needed because the spelling adequately represents the pronunciation.) This naturally leads one to ask: How can you teach a child to “sound out” a language that requires a pronunciation guide? 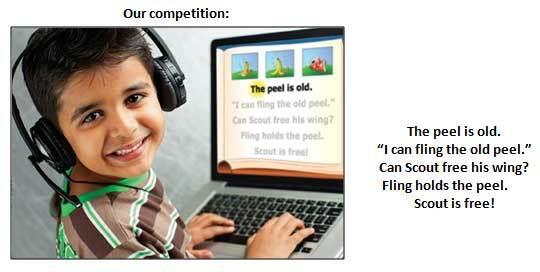 Why would a reading company advertise that they teach children sentences that amount to gibberish? Because that is considered normal when the words being taught are structured based on sounds – which is typical of all phonics-based decoding instruction. It is also worth noting that this text has many other strange characteristics such as centered spacing (as opposed to the left justified spacing found in virtually all books), quotations appearing without any attribution, bizarre proper names (“Fling”), etc. As soon as children pick up a real book, they find something completely different. 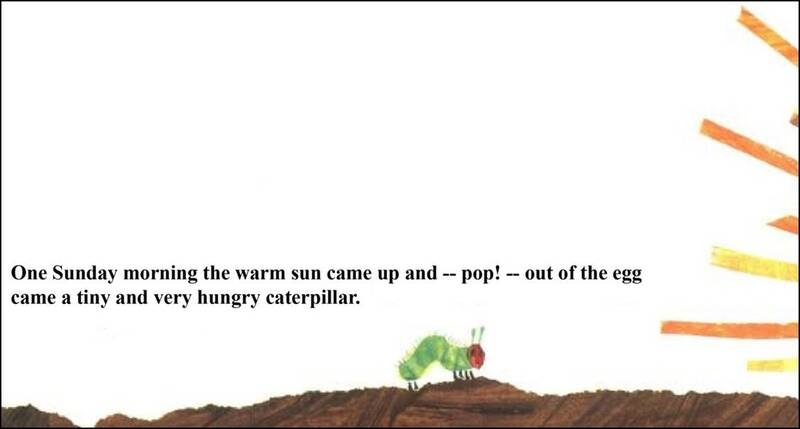 Consider “The Very Hungry Caterpillar” which has been on the Amazon children’s best seller list for many years. 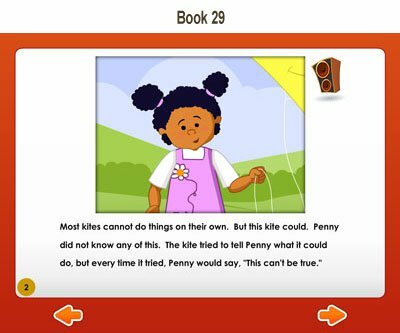 In Reading Kingdom, children are taught words that are used to build meaningful sentences which then combine with other sentences to make meaningful messages – just like the books children find in real life. Why would you teach children to read using text that is unlike anything they will encounter in the real world? To be frank, we don’t know. It doesn’t make any sense. Just think about any other skill we learn – such as musical instruments, sports, or foreign languages, etc. We start off learning the basics – but we learn the form correctly. We don’t begin by learning a stilted, incorrect and inappropriate version of the skill we want to learn! Why should reading be any different? How can Reading Kingdom teach reading with meaning when no other system does? Because it is the only system that uses Dr. Blank’s patented Six Skill Integrated Method. Reading Kingdom is the only system using this innovative approach. And when children are taught all six skills in an integrated fashion, they easily master both reading and writing. Next: Find out why Reading Kingdom succeeds.